The brand is recognised by 9 out of 10 people ! For more than 50 years, BIC® has honoured the tradition of providing high-quality and affordable products to consumers everywhere. Attracted by truly outstanding value for money, more than three generations of "BIC® addicts" have embraced the brand's products as modern-day icons. From a Paris suburb to an international group... and a world leader in its markets, BIC philosophy has never varied. But BIC always strives to adapt to change, play its strong suits and pilot every aspect of its performance. 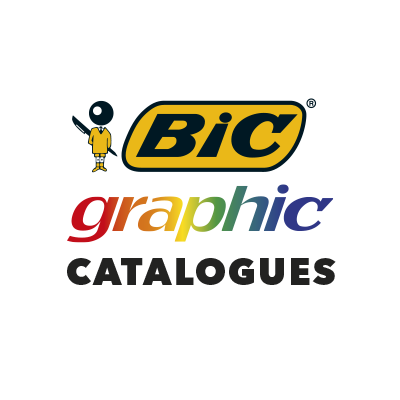 In 1979 BIC Group acquired Conté company with the objective of enlarging its stationery portfolio with complementary products. Conté® continued to evolve under BIC® and successfully launched a mechanical pencil (known today as BIC® Matic®) and first wood-free pencil made with recycled material (known today as BIC® Evolution®) in 1984 and 1993, respectively. Today under Conté® brand there are quality coloring pencils and felt pens in a new elegant look, available in many countries worldwide. In 1959, Otto W. Carls launches in Frankfurt, Germany an innovation - correction paper to correct typing errors made on typewriters. The name Tipp-Ex® arose from the combination of the word "tippen" (type in German) and "ex" (the latin prefix designating an object out of its place). In 1997, BIC acquired Tipp-Ex® with the objective of enlarging its stationery portfolio with a well-known high-quality correction products brand. Today, a large range of correction products including fluid and tape are proposed under the Tipp-Ex® brand. From the success of the first correction papers, the developing correction fluid, Tipp-Ex® has not stopped innovating. In 1992, the brand launches its first correction tape which allows for clean and precise correction and an instant rewriting. The design of these correction tapes has continued to evolve to improve its handling capabilities. Launched in 2008, the BIC® Ecolutions® range demonstrates BIC’s commitment to sustainable development and is now offered throughout the world. 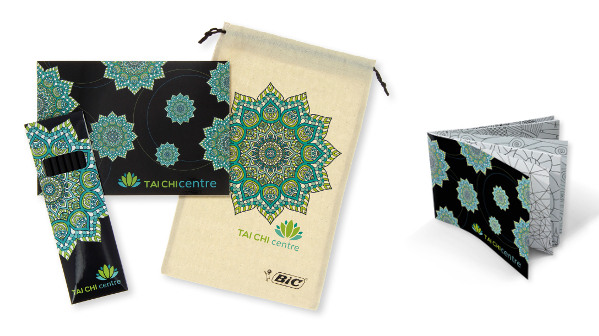 The collection includes BIC Graphic manufactured products including writing instruments and paper products made of recycled materials or renewable resources. 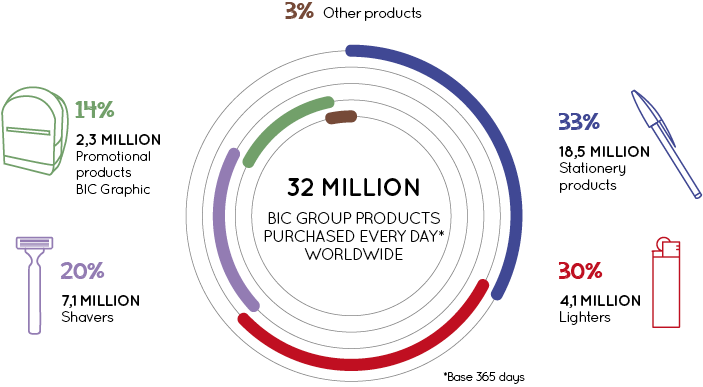 The BIC Group designs reliable, high-quality products that contain only the essential components. 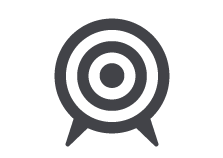 Our goal is to reduce the amount of raw materials used during production. 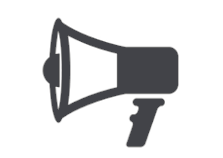 The BIC® Ecolutions® products represent a responsible choice for promotional products. 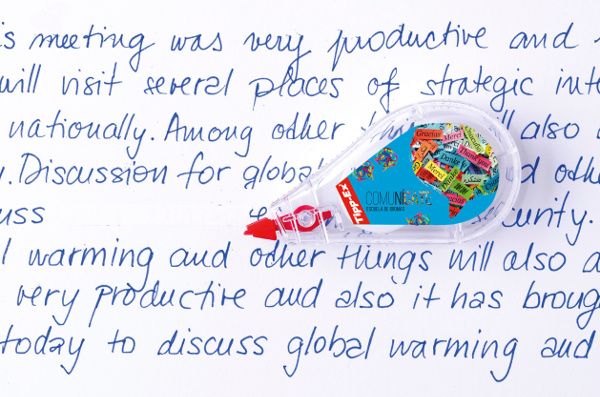 Specifically, BIC® Ecolutions® writing instruments are made of pre-consumer recycled plastic materials and the BIC® Clic range is made of 25% of cellulosic polymers, an eco-friendly material manufactured using natural, renewable softwood materials. Responsibility and commitment to minimize environmental impact is the foundation of BIC Group’s sustainable development program. 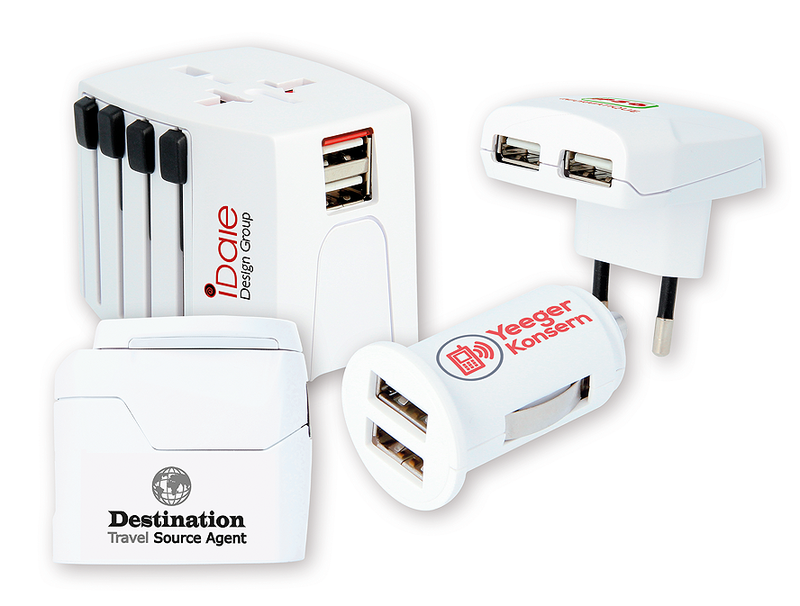 Their range includes world and country adapters, USB chargers, cables and batteries. Their products are sold at major airports globally, on board more than 60 airlines and in thousands of retail stores. 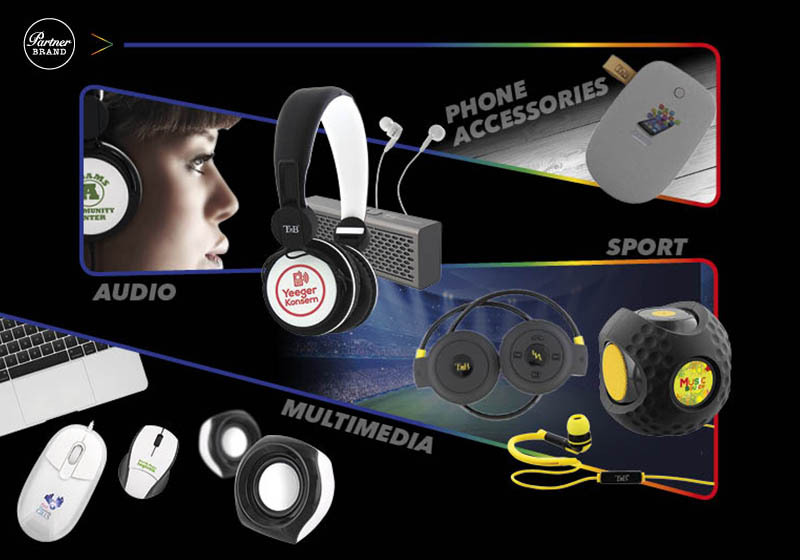 SKROSS® manufactures for many leading global brands in the travel, consumer electronics and fashion industries. The originals from SKROSS® are developed in Switzerland, patented internationally and are generally fully compliant with the relevant standard 60884-2-5 of the International Electrotechnical Commission (IEC). This makes SKROSS® unique, as it has established itself in the last ten years as the worldwide market leader for premium adapters, operating successfully in more than 100 countries worldwide. The combination of typical Swiss reliability and passion for quality will also be a guarantee for outstanding products in the future. 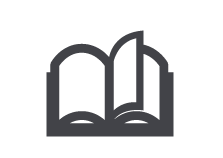 For SKROSS® products, the observance of international safety standards is at the forefront during the entire development and production process. The significant advantages of SKROSS® products are user-friendly design, 100% quality control and safety certification. SKROSS® adapters comply with mandatory and relevant International Electrotechnical Commission (IEC) norms and are certified by renowned independent testing laboratories such as Electrosuisse and TÜV Süd Germany. 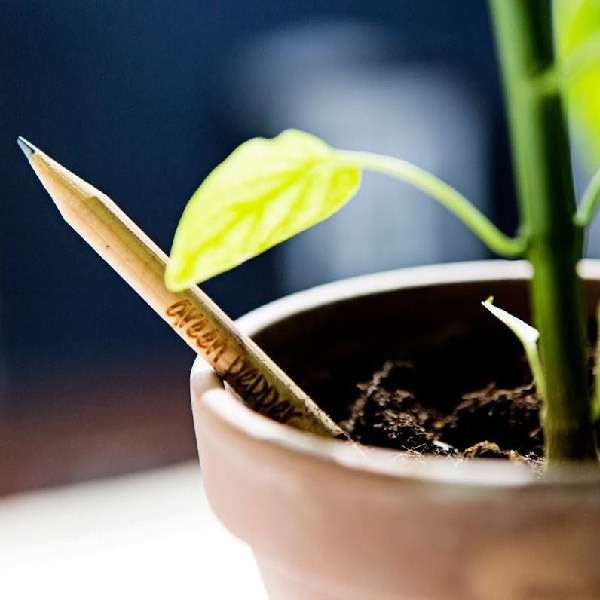 It was three students from Massachusetts Institute of Technology (MIT), Boston, who in 2012 came up with the idea to create the first plantable pencil in the world. The Sprout™ Pencil is made out of sustainable wood with a dissolvable capsule containing seeds at the end, where there is usually an eraser. Sprout ™ is made of sustainably harvested wood and contains no lead. The seed capsule, which contains high quality, untreated seeds, is water soluble, making the pencil easy to plant after use. The Sprout™ pencil grows delicious fresh herbs, crispy vegetables or edible flowers.